A modern day renaissance man. The poster child for versatility, Mason is a lyrical genius, displaying his creative prowess as a lyricist, spoken word artist and writer. While his start is deeply rooted in southern hip hop, his buzz around the country continues to grow. Every lyric, every word, every ebb and flow of his unique delivery is soulfully honest, rich with pain, victory, self-realization, and truth. His work is a narrative, addressing non-traditional topics like child abuse, mental health, trauma, parental loss and even the joys and challenges of single fatherhood. Harnessing the power of his journey, he masterfully weaves a story of hope, an almost spiritual awakening for the soul and a rally cry for this generation. With his most anticipated project to date, to be released this year, The Paperback Hero: Book One - Free Mason, will set free those bound by societal chains, personal demons and fears. The first installment in his musical comic book masterpiece, The Paperback Hero Saga is an allegorical story, told through music, poetry, and film, of the individual’s journey toward self discovery. In the story, we follow Malik as he realizes his destiny through the power of learning the “Knowledge of Self”, unlocking the God-like powers within him. The Paperback Hero Saga highlights the battles we all face as we endeavor to find our purpose and embrace the greatness that lives inside of us all. The hometown hero released several mixtapes including “Loose Leaf Vol. 1” and “Loose Leaf Vol. 2” underneath his previous “Quill” moniker. 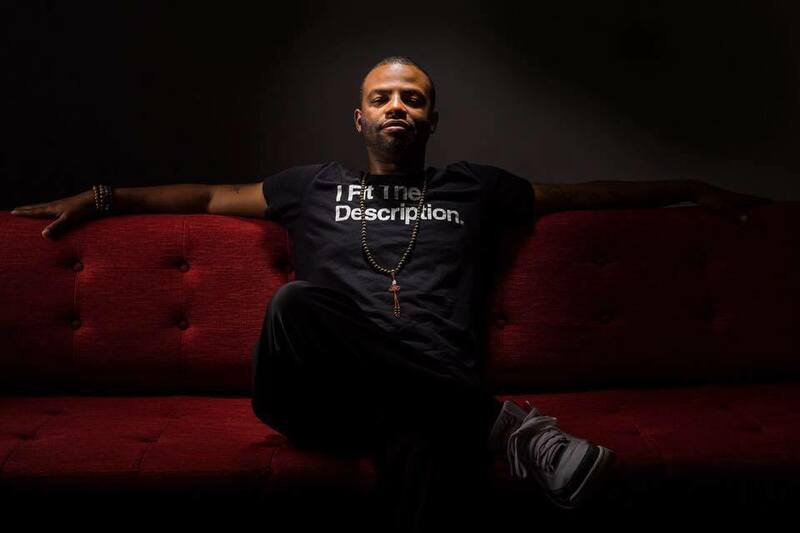 He also released his single, “So Sorry Momma,” one of many songs showcasing the true depth of his message, featured on Talib Kweli's “Community Mixtape.” This led to Mason being featured as a special guest artist on Kweli’s 2010 "Gutter Rainbows” Tour. He appeared on BET Jams and that, along with a critically acclaimed stage performance in On Q Productions’ “Miles & Coltrane: Blue(. )” at the International Fringe Festival in Edinburgh, Scotland, catapulted Mason to the limelight, and later being named Charlotte's Best Rapper in 2013 by Creative Loafing Magazine. For more than a year, Mason was the overnight host on WPEG Power 98FM, Charlotte, North Carolina’s largest urban contemporary station. He appeared on the BET Music Matters Showcase in New York City, catapulting him to being one of North Carolina’s most sought after artists, including being named 2016 Queen City Awards' Male Hip-Hop Artist of the Year. In the same year, Mason boasted the honor of reprising legendary MC Kurtis Blow’s role as host and emcee during the sold out run of “The Hip Hop Nutcracker.” He later filmed the video to his debut single “#StillDreamin” with the show’s dancers. In Early 2017, Mason performed on BET Jams’ “Versed,” later releasing what would be his final mixtape as a North Carolinian, “Versed: The Mixtape.” After being featured as a Revolt Spotlight Artist on Revolt TV, and having outgrown his hometown pond, the big fish migrated to the vast ocean otherwise known as Los Angeles, CA. Mason is currently working on the release of his next EP and comic series, along with his content marketing and creative consulting firm, INKified Creative, LLC.